Three of us fisherman were sitting at Ruby’s deck enjoying a beer(s). 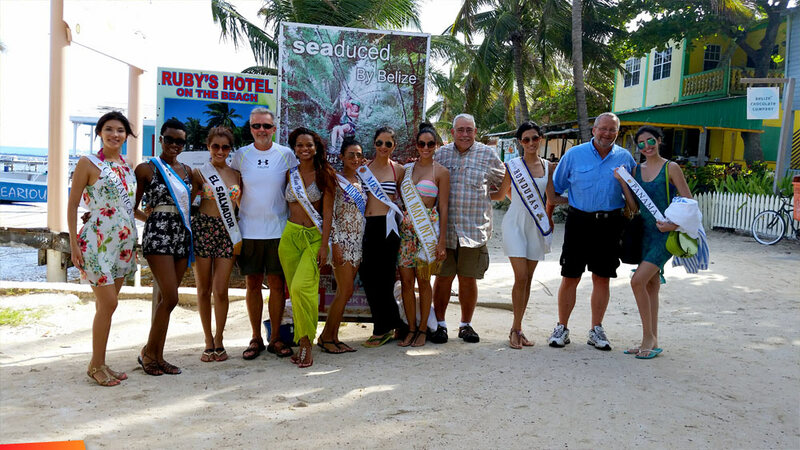 The 2016 Costa Maya contestants came walking down the beach and graciously agreed to take a photo with us. The ladies were not only beautiful, but also social and interesting. Pictured with the contestants are Dave Bauer, Pete Wiese, and Phil Wicktor. In the background on Wild Mango’s deck (over Miss Honduras shoulder) might be either John or Rick. We have been fishing from San Pedro for 15 years and never had a trophy photo like this!